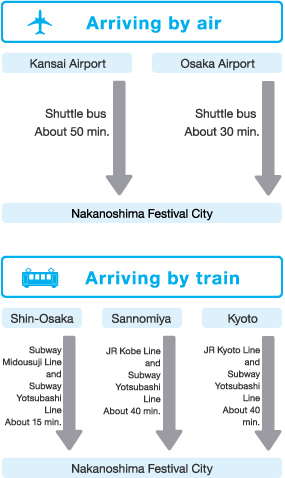 With rivers to the north and south, Festival City encompasses the Nakanoshima Festival Tower and Nakanoshima Festival Tower West, Japan's tallest twin tower development. All of this is located on the sandbar of Nakanoshima, symbolic of Osaka's status as a city of water. 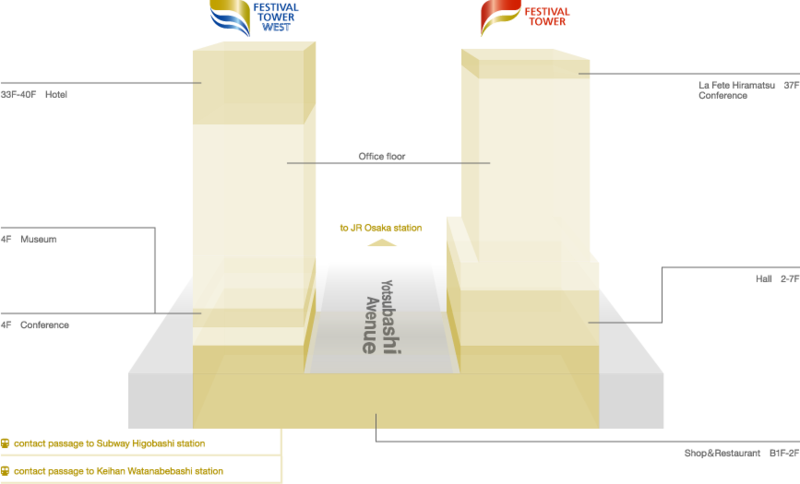 The sight of a public road passing between the twin towers is an unusual one, even internationally. 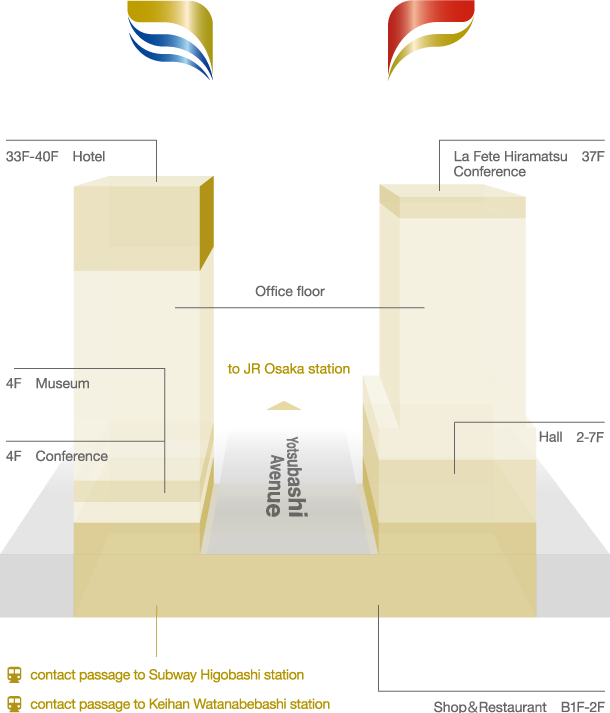 The district includes a hotel, a concert hall, an art museum, restaurants and retail stores, and is also where 12,000 people go to work each day. 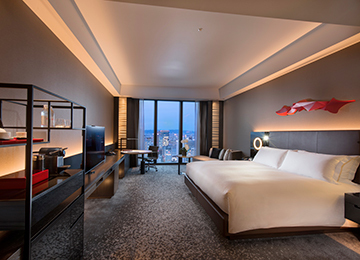 Guests from around the world are greeted at the smart luxury brand of Hilton Inc. "Conrad Osaka", by spectacular views from 200 meters above street level. 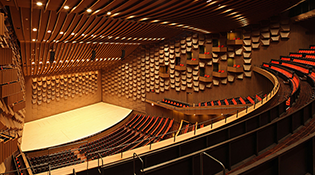 The Festival Hall, where Herbert von Karajan and Leonard Bernstein have conducted, underwent major renovations in 2012 and continues to offer concert-goers an unforgettable acoustic and visual experience. 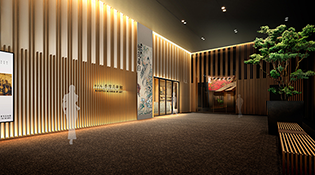 Meanwhile, the Kosetsu Museum of Art (opening spring of 2018), where exhibits include a tearoom constructed using the traditional Japanese thatched roofing and mud walls, gives visitors an intimate insight into Japanese culture. 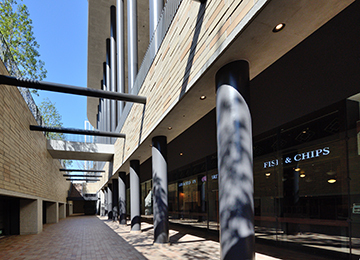 Festival Plaza, home to a collection of 50 restaurants and shops, is the place to head for a wide variety of enjoyable dining and shopping options. 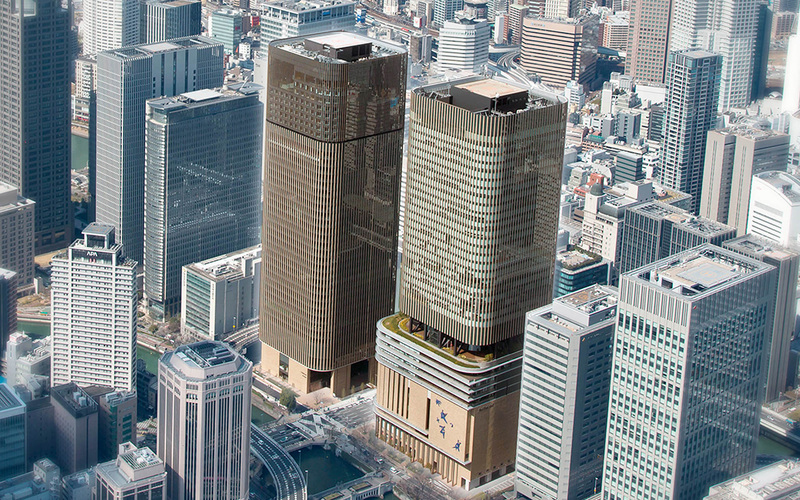 Close to Festival City are some superb examples of classical architecture from Japan's modern era, including the Osaka branch of the Bank of Japan, and Osaka City Central Public Hall. 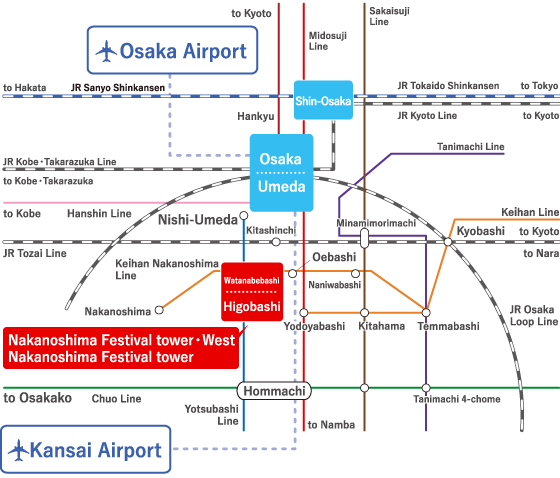 In addition, cultural institutions such as the National Museum of Art, Osaka and Museum of Oriental Ceramics, Osaka, which offer a treasure trove of arts and culture from Japan and beyond are nearby. In keeping with its focus as a cultural nexus, Festival Plaza offers an extensive array of shops and restaurants, providing the latest in dining and lifestyle options. 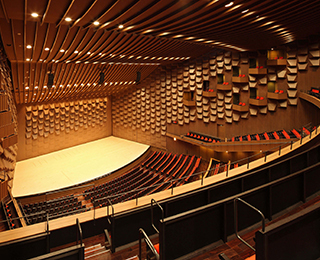 The large space has seating for 2700 and a stage that is 30 meters wide, with luxurious upholstered red seating and magnificent chandeliers adding extraordinary glamor to the concert experience. 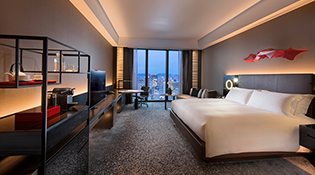 The Conrad Osaka is part of the Hilton (U.S.) chain of ultra-luxury hotels. 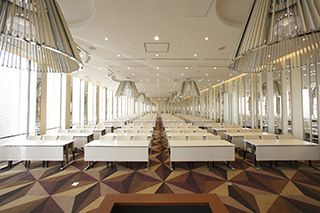 Guest rooms start from 50 square meters in size, ranking them among the largest in Osaka. Stunning panoramic views of the city skyline and natural surroundings can be enjoyed from the four restaurants and bar lounges, as well as the special event and meeting spaces, chapel, spa, health club and indoor pool. 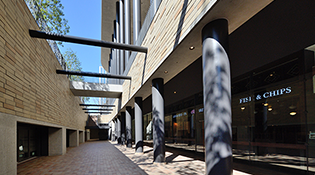 The Nakanoshima Kosetsu Museum of Art houses the collection of antique Japanese and other Oriental art assembled by Asahi Shimbun newspaper founder Ryohei Murayama. 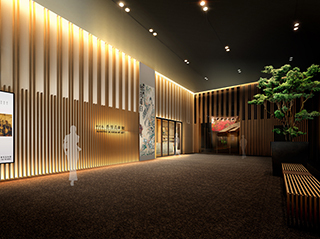 This compact central-city art museum has nearly 630 square meters of exhibit space designed to optimize viewing, including the use of ultra-high transmittance glass. 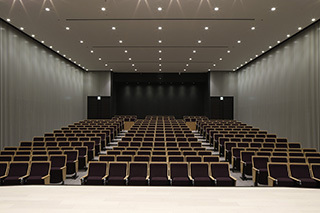 The Nakanoshima Kaikan is a 284-seat multipurpose hall. 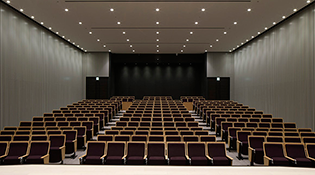 Building on the legacy of the Asahi Kaikan, the modern culture hub formerly on the site, the new incarnation of the hall offers the ideal venue for everything from lectures to cultural events. 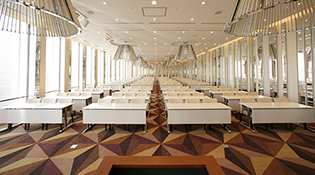 Located 200 meters above street level, the Festival Suite is fully equipped with private and conference venues, offering an understated elegance for any style of event. ©2017 Festival City., Ltd. All Rights Reserved.